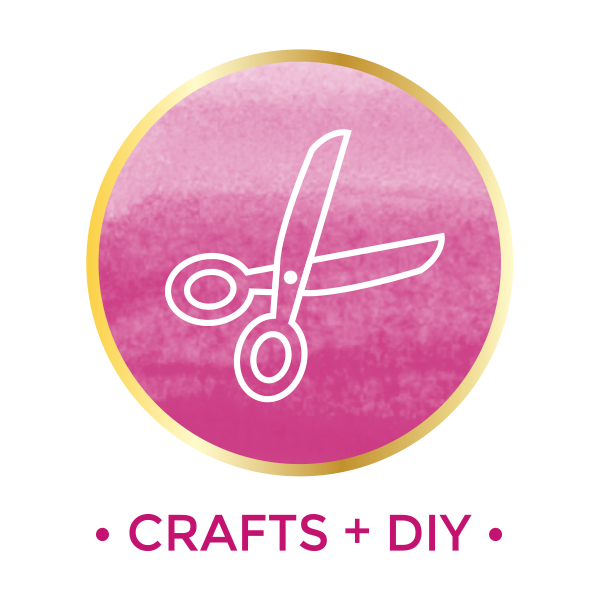 I have a silly and fun little craft idea that is perfect for summer. Kids love slime, at least mine do, and it is so simple and cheap to make. Absolutely perfect for hot summer afternoons or for rainy days. 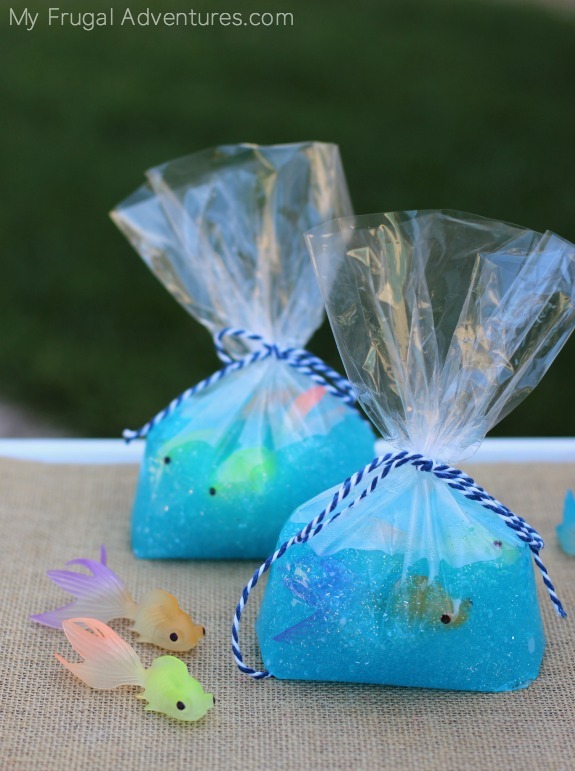 There is a new Finding Dory movie coming out June 16th and these would be so cute to make after catching that movie! 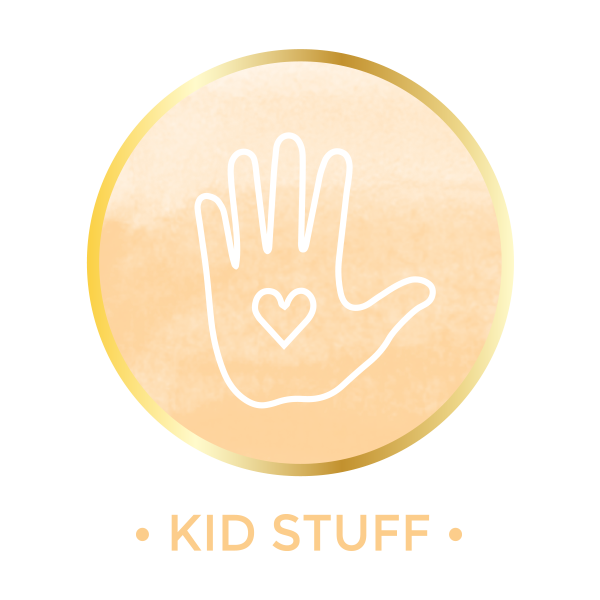 I try to have a bit of quiet time on summer afternoons to get housework and blog stuff done and making the kids a bag of slime is perfect to keep them entertained. This summer I am trying hard to come up with a lot of ideas like this for quiet time because I really want to start listening to some French language CDs for kids that I found at the library. 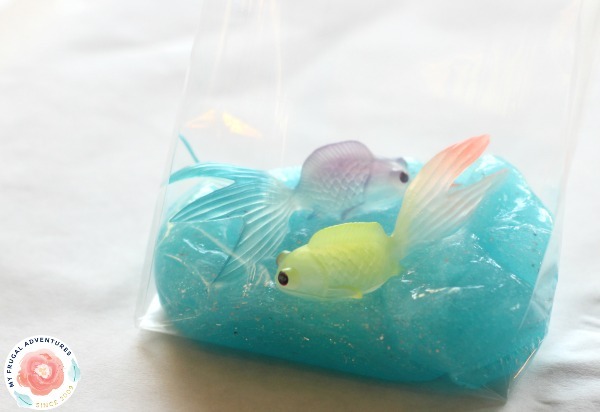 So here is how you can make your own cute slime fish in bag. Give this a shot- the kids will love it for summer vacation. To make the slime you can use liquid starch or borax. 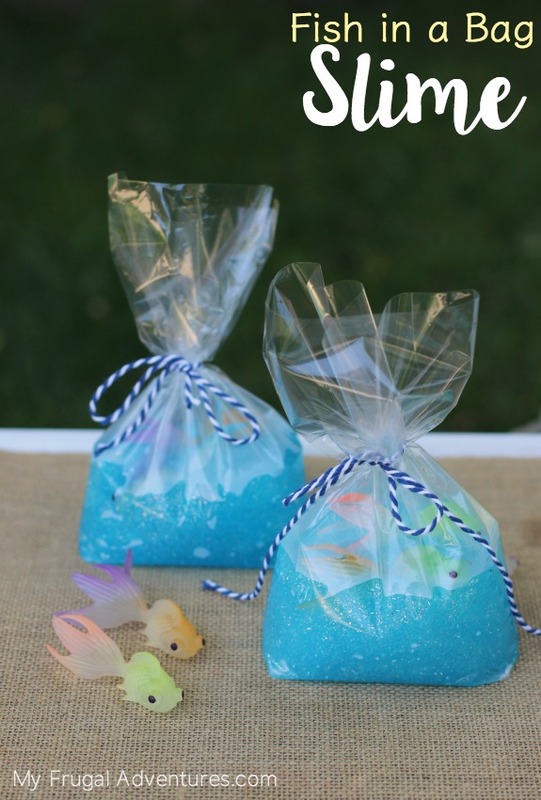 If you have borax on hand, find a recipe here for borax slime. Either way works great and actually one of my bags was with borax and one with fabric starch so you really won’t see a huge difference. I think the fabric starch is just slightly easier to use but gives the slime a slightly stickier consistency that stretches better. The Borax seems to have a bouncier consistency. Please note Borax is a cleaning agent and should not be handled by children. I am providing detailed directions for slime but not to worry. 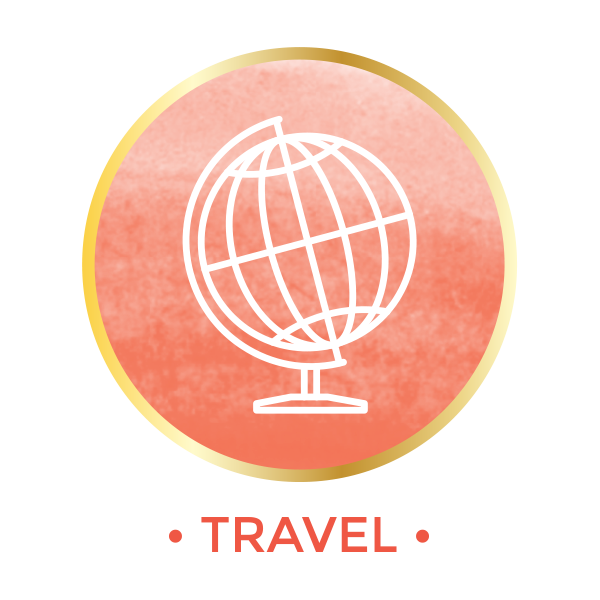 This comes together really quickly and is very simple to make. Add 1/4 cup of water to a bowl. 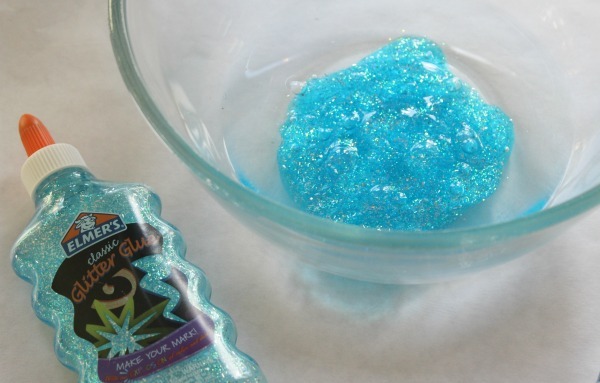 Next add one container of clear glue or glitter glue to your bowl (about 1/2 cup or basically the entire 6 oz container of glue). Stir very briskly or use a whisk. Stirring gently won’t incorporate the water into the glue- you don’t want the water to remain separate as you can see above. 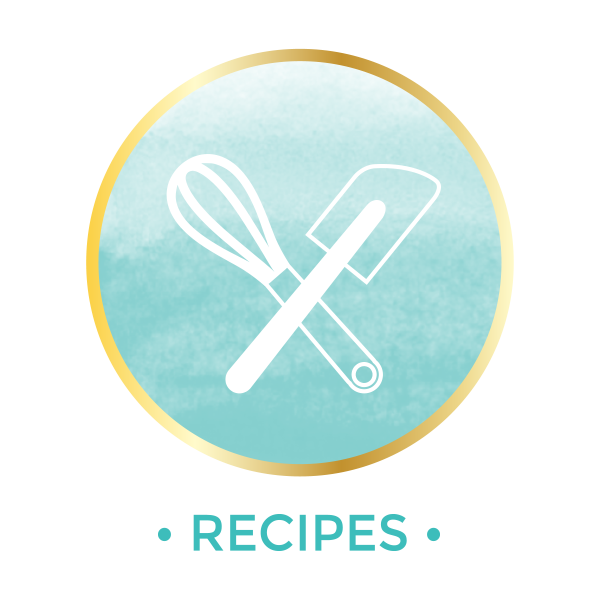 Stirring with a fork or whisk will bring both ingredients together. 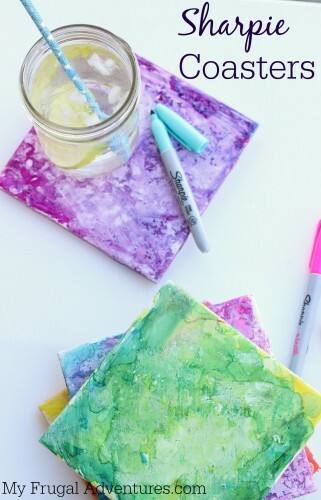 If you use a clear glue or white glue you might add food coloring, watercolor paint or glitter to your mixture. I used a blue glitter glue so I skipped this step. Stir well to get the color you want. Now add 1/2 cup liquid starch to your mixture and again stir well to incorporate. After stirring I like to let it sit for maybe 5-10 minutes and that allows the rest of the water to be absorbed and it also seems to harden the slime up just a bit to make it easier to handle. 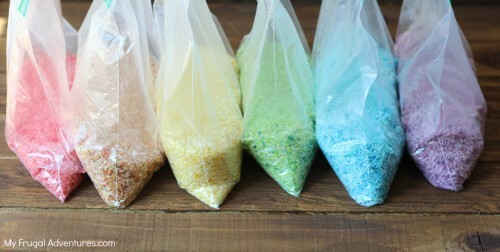 Colored rice- this is so fun instead of sand. 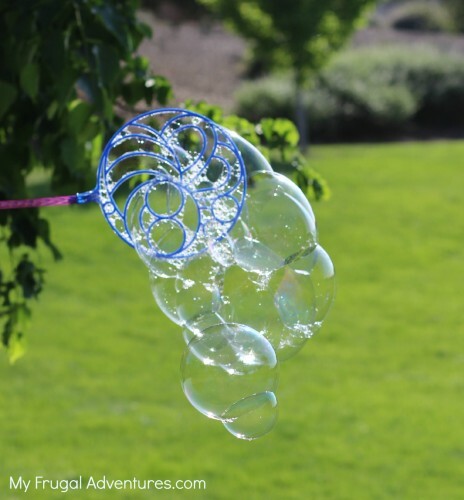 Add it to a large plastic box or use it outdoors with cars or simple kitchen funnels/spoons and so on for a lot of fun. 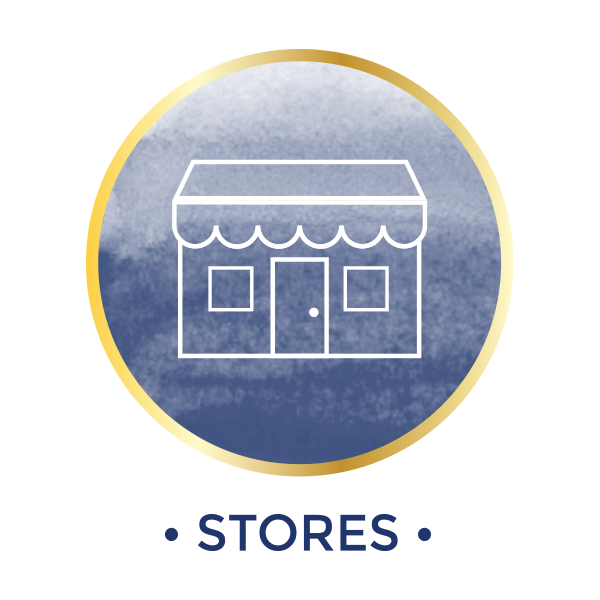 Where did you buy the fishes? Great Idea!!!! How many bags of slime did your recipe make? Thank you for the idea, these are adorable! We are taking my 2 year old to Finding Dory for her first official movie so I’ll make these to get her more excited and for summer play 🙂 I’m not sure if you posted this already, but Quaker has a great $5 Finding Dory movie coupon on their granola bars. They were on sale for $2 at Target so I grabbed 6 boxes for my large family. Oh nice! Thanks for the tip Alexis, I will look for that. I might be more excited than the kids to see it 😉 I was looking at little Dory toys to try and use and they are just crazy expensive. I did see some cute pool toys though for about $5 at both Michel’s and Walmart. How long do these last? Do they mold, or discolor at all? Hi Natasha, No you shouldn’t get mold from starch and glue. They are both items with a very long shelf life. I can’t imagine you would have discoloration either. The blue glue should be pretty color safe. Hey.. Totally love this craft…question… I am having a carnival party for my baby’s first birthday and was wondering how many days in advance should I make this? Will the slime last for weeks or should I do them days before the party? Yes it will last weeks 🙂 Easily a project you could make well in advance. One thing to consider is that you do not want the bag getting all smooshed around so be sure it is kept away from little fingers so it stays crisp and fresh looking. Also the slime will eventually eat the fish and they sort of get sucked into the center. You might position the fish the day before so they are where you want them in the bag. My daughter took this slime and put it in one of those Dollar Store circle vases that look like fishbowls and it lasted about a month uncovered and looked really cute. That might be a fun idea as decoration on the tables. I have a question………..have you used white glue for this project? I was wondering if it would be too opaque. Hi Sarah- you can totally use white glue. Just check the size on the bottle as I believe they are slightly smaller. You will not get a clear slime though. It would still work just not as cute in the baggie. This would be perfect for my daughters birthday as party favors. Two of her favorite things, slime and fish. Im wondering if the slime made with liquid starch stick to clothing? I’ve made slime with borax before and if it got onto the clothes it would not come off. those are so cute! 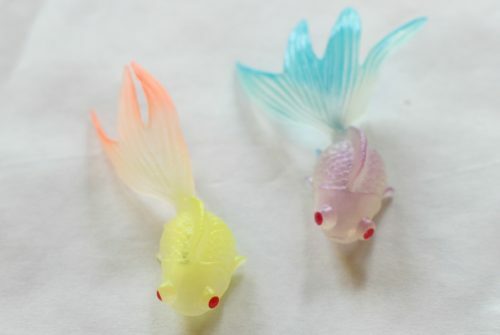 i cant wait to make them! How many bags did the fish in the slime make? I’ve tried this twice and it never becomes any firmer than liquid. I don’t know what I’m doing wrong. Is it liquid when you start kneeding it? I feel like it should be much firmer. Sometimes I have excess liquid in the bowl- I just drain that off because there is usually a solid lump in the middle of slime. It should definitely not be liquid- the majority of the recipe is glue which is a thicker consistency. Did you use liquid starch? I should have done a video with that recipe but here is yet another recipe I did do a video with- it is fluffy slime but the recipe is exactly the same omitting the shaving cream for regular slime. This one uses baking soda and contact lens solution.